This blog post was written by Bridging Refugee Youth and Children’s Services (BRYCS) and is included as an archived post on the Switchboard blog. Unaccompanied children (UC) who have been migrating from El Salvador, Honduras, and Guatemala to the United States for years, were largely unnoticed by the general population until this phenomenon captured our nation’s attention in the summer of 2014. That year, the number of unaccompanied children that showed up at the US – Mexico border reached approximately 68,000 – a 75% increase from the year before. Since then, the number of UC’s apprehended at the border has decreased, however, the flow of migration of these children – escaping targeted and generalized gang violence, domestic abuse, and economic disparity – is steady and not showing signs of stopping any time soon. Their presence in the U.S. sparked our curiosity about what it’s like to be an unaccompanied youth integrating into a local community. From an empirical standpoint, little is known about what factors impact their successful integration. Additionally, very little research has been done on this topic from the perspective of youth. We believe their voice matters most, therefore we conducted a research analysis highlighting the youth’s perspective, along with their caregivers and case managers, to help gain a better understanding about what helps UCs adjust and integrate. USCCB/MRS staff used both qualitative and quantitative research techniques to gather data. Former UC youth, caregivers, and case managers connected to FC and FR programs participated in interviews. Subsequently, surveys were developed to gather quantitative data in line with the emergent themes, and the data was analyzed for trends related to each theme. The interviews and surveys focused on topics related to community, activities, safety, adjustment, youth goals, legal services, aspects of caregiving, and the role of case managers. As the environment in which youth reside, access services, and interact with peers and adults, the community setting is an important context for the process of integration. As several reports have demonstrated, these youth are fleeing generalized violence and the threat of gangs. When reflecting back on her initial move, one youth shared: “At first, I thought, since it’s a big state, that it was going to be violent and full of gangs, but then I realized it has many good things.” The importance of being able to freely walk the streets or through their own choices to avoid dangerous situations was an important difference about life in their new communities. Basic needs, such as safety, accessible medical and mental health services, and the opportunity to find support among peers or their ethnic community were highlighted in interviews as a foundation for youth to transition from survival to success. Case managers also play a critical role in fostering successful integration of youth into communities. They are often the gateway to various needed services that meet the immediate needs of the youth and their families and act as advocates on behalf of the youth. While we went into this study focused on the role of the case manager with the youth, interviews exposed the importance of the role they play with the caregiver as well. Case managers that were culturally competent and accessible appeared to have the most impact. Care givers and youth noted how helpful they are as they provide of tools for empowerment and act as resource and cultural brokers. One caregiver noted about their case manager, “The most important thing that [a case worker] has done for my children is, well, everything. They recommended the doctors, counselors, attorneys. [The case worker] has been there with us.” The support the case manager provides to the UC and their family has a considerable impact on the lives of families and often guides youth to move towards successful integration. The centrality of relational and family support in the lives in unaccompanied children cannot likely be overstated. The role of competent caregivers, supportive adults, and positive peers are foundational to the development of all children and youth. The fact that these children have experienced separation from their parents for any period of their lives only underscores the importance of a safe and loving home environment in which they can process past trauma and begin the work of adjusting to a new country and way of life. The process of integrating into the U.S. is daunting and confusing; however, regardless of which program services unaccompanied youth, all deserve to have their needs heard and to have case workers that can be an advocate for them. 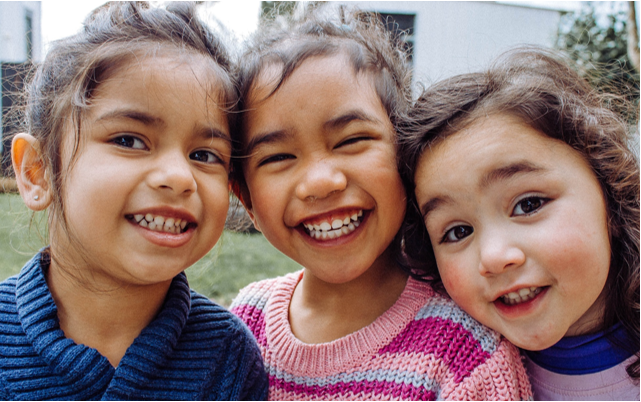 As USCCB/MRS continues to offer programing to UCs and as UCs continue to be placed with sponsors or foster care providers in the United States, we hope this research can help inform our work with this population and become a springboard for further research.